Every new parent needs a break every now and again. 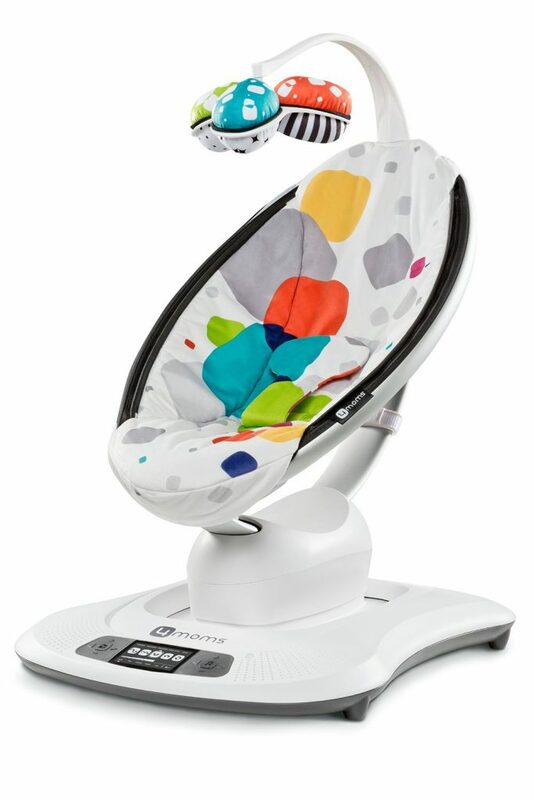 At 2 AM when the baby is crying nonstop and just won’t go night night, wouldn’t it be nice to have someone rock your baby to sleep for you?4Moms mamaRoo Baby Swing. Though it’s a little pricey at $260 something for the plush version — I highly recommend the plush — it’s well worth it. It makes it possible for you enjoy gazing at your little one’s angelic face as he or she sleeps peacefully in this miracle of an infant seat. Now both baby and parents can get some quality shut eye. 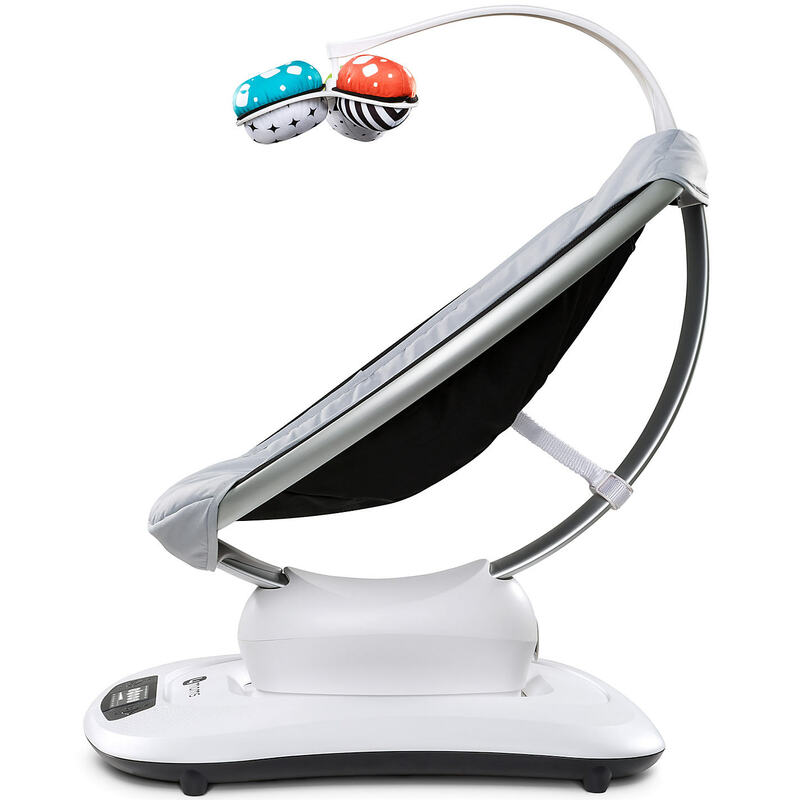 For parents of little ones with GERD or reflux, the mamaRoo can also be a huge help. We used it with my daughter who had mild reflux for her first 9 months. Overall, the mamaRoo is a durable and reliable baby swing. Be aware that if your child is as rough on things as my daughter is, your mamaRoo may develop some mechanical issues. My daughter would often bounce up and down in the seat, which caused some early wear and tear. For example, the mamaRoo could start making a squeaking or knocking noise when in motion. Also, it can malfunction temporarily if its movement is impeded. Despite these quirks, as I like to call them, our mamaRoo kept on swinging and would rock her gently to sleep without fail everyday for a full year. To say that this swing is worth the money is an understatement. Not all babies will like the motion. Before buying, it may be worth trying it out in the store to see if your little one is a fan. If you get a little baby thumbs up, I highly recommend making the purchase. It’s a great product and you really can’t put a price on the free time it affords you to sleep or do whatever you want while your little munchkin snoozes. To celebrate our January website launch, we gifted this miraculous product to one of our new subscribers. The giveaway is now closed, but make sure to subscribe to our newsletter for more baby-related tips, info, product reviews and a chance to win other great baby gear. What are some of your favorite products that help both baby and parents get sleep? Im due in February on my birthday with my first child. I been having a eye on this swing for months now. I would love for my daughter to have one. Omg! It’s a great swing. I highly recommend it. We wish you luck in the giveaway drawing.